Have you filled in your box yet? The Box Appeal is a charity that helps UAE workers improve their everyday. I always thought international charity was great but a lot of people feel like they have to go accross the World to help when you can begin with your own city, well, this is our chance Dubai people. 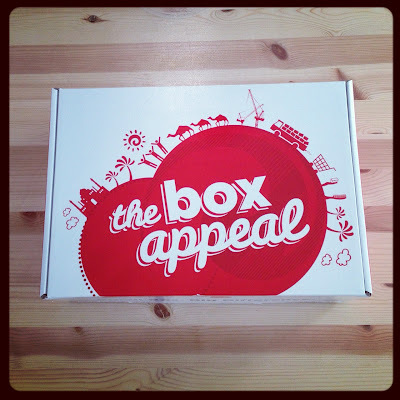 The Box Appeal is already 5 years old (how come I never heard of it before, make some noise people, pass the word on! ), the purpose is to gather everyday hygienic items to approve workers daily routine. What you can put in the box are: T-shirts, Caps, Disposable Razors, Shaving Creams, Deodorant, Toothbrushes, Toothpaste, Small Hand Towels, Combs, Antibacterial Soaps and Shampoo. Last year the Charity distributed 7,000 boxes in Dubai and 10,251 in the UAE. You have until the 31st October to get, fill in and drop your box at any Radisson Blu or Park Inn Hotel. Time for a Good Action! For more information, have a look at their Facebook page here.